I am lucky to have my colleagues, Paul Mullins and LouAnn Wurst, as my commenters and Chris Matthews as managing editor. I could not have written this article without their years of scholarship upon which to build. Moreover, their insightful and collegial responses throughout its writing continuously pushed me to refocus and clarify my arguments and my goals. Doing the fieldwork for this study, I found plastic, Depression glass, and radio vacuum tubes, rather than the ceramic and bottle assemblages I expected. 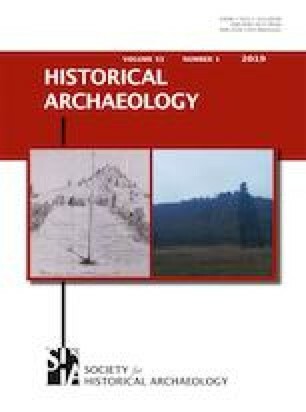 It was an article LouAnn Wurst wrote with Randall McGuire (“Immaculate Consumption: A Critique of the ‘Shop till You Drop’ School of Human Behavior,” Wurst and McGuire ) that reminded me of its importance, not as the end of archaeological history, but as the beginnings of the present. Otherwise, I might have discarded all this waste as “too recent” for archaeological analysis. Davidson, Adam 2012 The Empire of In-Between, 2 November. The New York Times Magazine, The New York Times <https://www.nytimes.com/2012/11/04/magazine/amtrak-industrial-corridor.html>. Accessed 23 June 2014. Majumdar, Nivedita 2017 Silencing the Subaltern. Catalyst 1(1). Catalyst <https://catalyst-journal.com/vol1/no1/silencing-the-subaltern. Accessed 23 June 2017. 1.Department of AnthropologyUniversity of MarylandWashingtonU.S.A.